So im possibly looking to move onto a new car, dealership around me has a 2012 Audi A5 Premium Plus for 11k with 126k on the the Odometer. I know thats high mileage but Audis last awhile, is there anything I should be on the lookout for with it when I go for a test drive? If something breaks, be willing to spend some nice chunks of change on parts. Everything from PCV valves to Fuel Pumps cost a lot more on average than comparable vehicles. They're nice cars, don't get me wrong, but they need constant maintenance. That and all the special fluids for it, from Pentosin CHF 202 for power steering to Pentafrost for the coolant. They were hella expensive when my friend had to buy them a few years ago and I can only expect that like everything else that it's gone up in price. A quality car for sure, but expensive for even basic maintenance. Audis are just more expensive VWs. They're just as, if not more, finicky than the VWs. As someone who works on them from time to time this is 100% true. VW already does stupid crap and Audi just takes it to the next level... They get what VW has already done and goes "How more can we over engineer this?" I love Audi's but I would never own one as someone who has worked on them haha. Bought two new vehicles this year! 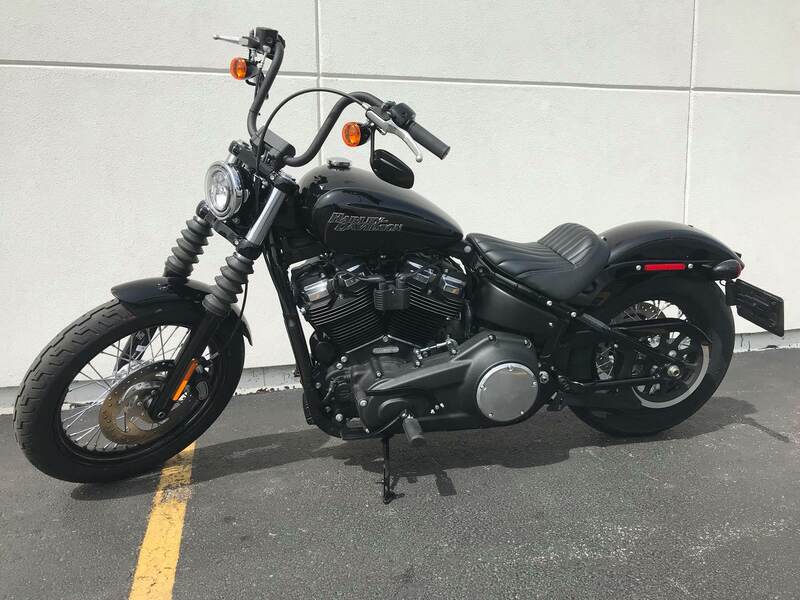 Traded in my 2015 Yamaha Bolt for a brand new Harley-Davidson Street Bob. 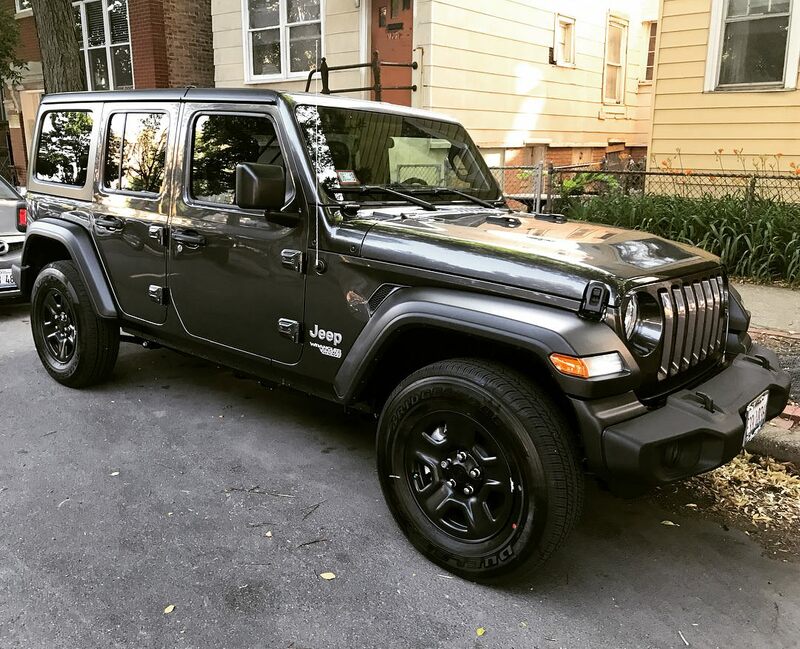 Also traded my used 2010 Wrangler Unlimited Sahara for a 2018 Wrangler Unlimited Sport JL. I've been a Jeep guy since I was a kid, proud to say I've now owned 4 different Wrangler models! (Currently own a '79 CJ, TJ, JKU, and now the JL). Check out BIG EVIL Racing + Designs on Facebook or on our Website! Love the JL's. Was never a fan of the JK, it was truly a product of mid-00's Chrysler and had a lot of the crap Chrysler did at the time. JL fixes all my gripes with it, and the fact that Jeep is gonna have a big model lineup for it makes me happy. I do not have the '07 NIssan Frontier LE 4x4, '97 Ford F150 or '05 Neon any longer. The Neon was a steaming pile of garbage. We now have a '13 Impala LTZ, '07 Chevrolet HHR 2LT, '05 Chevrolet Cobalt LS and a '70 Chevy C10. I'm regretting buying the Impala. I've always loved the look of them and it has more than enough horsepower and handles great, but the warranty is getting ready to expire and so far I've had it at the dealership quite often. I'm considering purchasing another warranty. I think it now has about 70,000 miles on it. The HHR has been a great car. The 2.4L is plenty enough to get down the road and it has been dependable thus far and given us little trouble. It has 107,000 miles on it now and I recent replaced the shocks struts, lower control arm, sway bar bushings, sway bar links and tires and it runs and handles like new. The sway bar bushings were tough to get to, but I managed. The Cobalt hasn't been too bad for the mileage it has on it. I bought it about 5 years ago and put a ton of miles on it. It currently has over 150,000 miles on it, but run pretty well. If only put tires, a battery and new radiator fan on it since we had it. Currently all it needs it needs a door actuator to be tip top. The pickup is my current favorite and I've enjoyed working on it thus far. It runs well and besides needing tires, some bodywork and fixing up the interior a bit I think this is a keeper and probably will be my daily driver once I have it squared away more. Last edited by S_Gibson; 07-19-2018, 02:27 PM. Stupidity was meant to be painful! Now in the market for a Frontier, but looking to get a recent one with a factory warranty. I bought the HHR in February of 2008. It had 12,000 miles and 3 years 36,000 mile warranty. Sticker price for it new was over $24,000 and I paid $12,500 for it. While it has not been the funnest car I've ever driven, it has been dependable and never let me down. Under warranty I had the radio replaced and the fuel pump. All I've done to it besides general maintenance is put a battery in it, replaced the thermostat, put shocks, struts, lower control arms, sway bar bushings and sway bar links on it. Right now it needs a new turn signal switch. Truth be known it has been the most reliable and best bang for the buck of any car I've ever owned. I expect to get many more years of dependable service out of it. The Frontier pickup I had was fully loaded. It was the nicest truck I've ever had, but I actually like the old C10 I bought better. I have more fun driving it and enjoy working on it. The F150 I had I thought drove better than the Frontier, but the Frontier by far was the most reliable truck I've owned. I would still have it, but it didn't make sense to have that nice and expensive a truck to drive 5 miles a day. Good luck in your search for one. Hopefully you can find a good deal on one. They hold their value very well. Yeah they sure do. But it'll be my daily so the reliability element is a key factor, plus it's not going the Tacoma route that everyone I know with a midsize truck gets lol. I have a 2010 Tacoma Pre-Runner access cab, bone stock with under 100k miles with brand new tires. $12k and it's yours lol. You can be like everyone else. You know you wanna. Last edited by Richard Hammond; 08-12-2018, 08:40 PM. Currently ride shopping, simply time. Got the 3 year itch with the ION and really ready for an upgrade lol. All times are GMT-5. This page was generated at 04:35 PM.